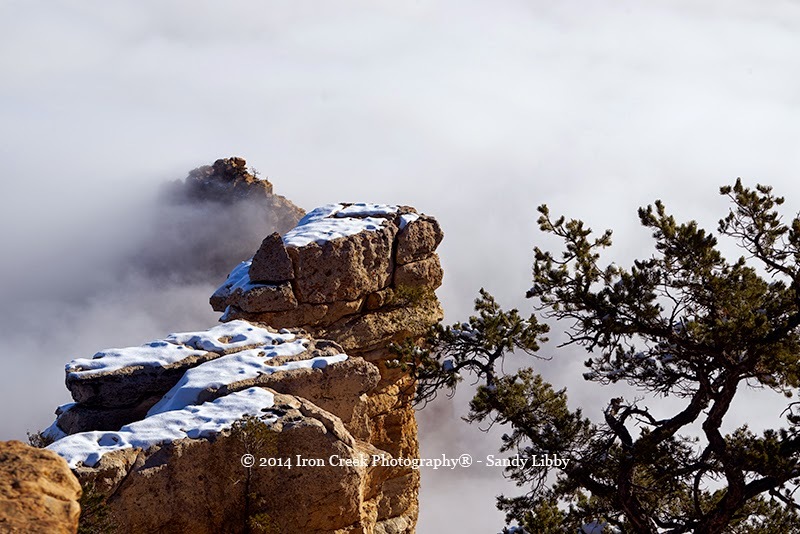 Normally when visitors come to the South Rim of the Grand Canyon they expect to see the majestic wonders of looking into the canyon and seeing the North Rim in the distance. And normally they would. December 2014 offered a rare treat for visitors; first on December 13th then again on the 20th. While we missed the first one, we were fortunate to witness the second on the 20th. We're uncertain if the weather service is calling the 20th an inversion as it looks like it only effected part of the canyon. 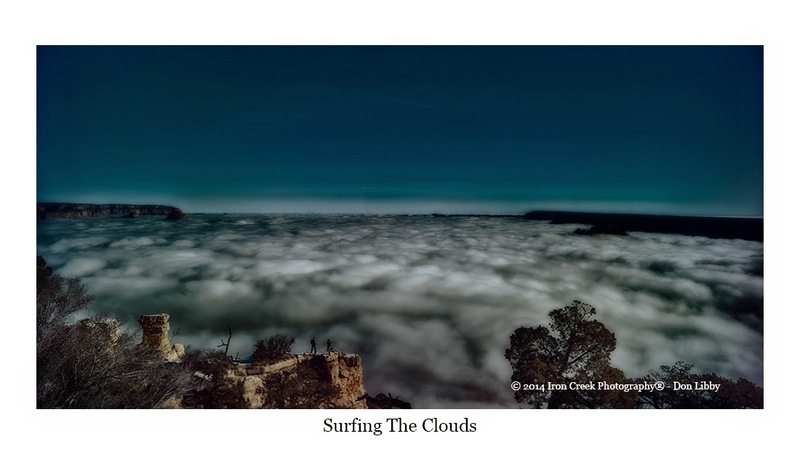 Arriving the morning of the 20th we were greeted with scattered clouds near Mather Point however the further east we went the more clouds we began seeing until the entire canyon was filled. 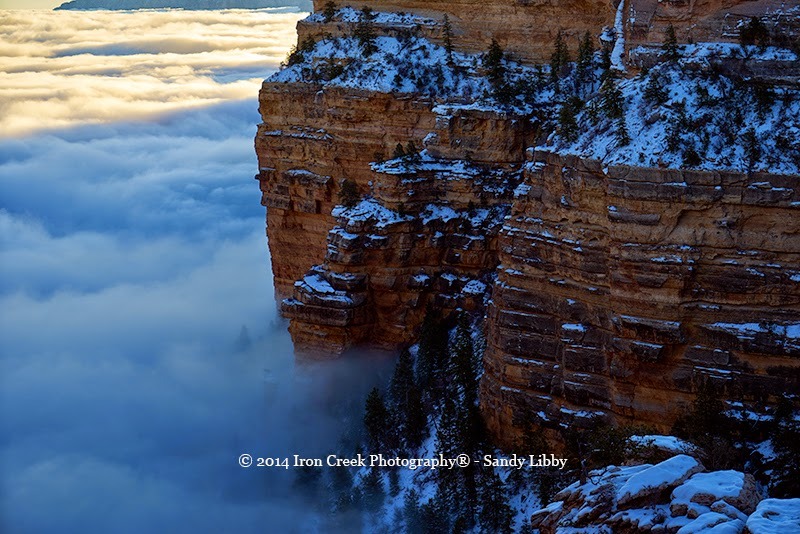 Looking at the effect of the clouds covering the canyon makes one believe you're on the top of the world looking down. 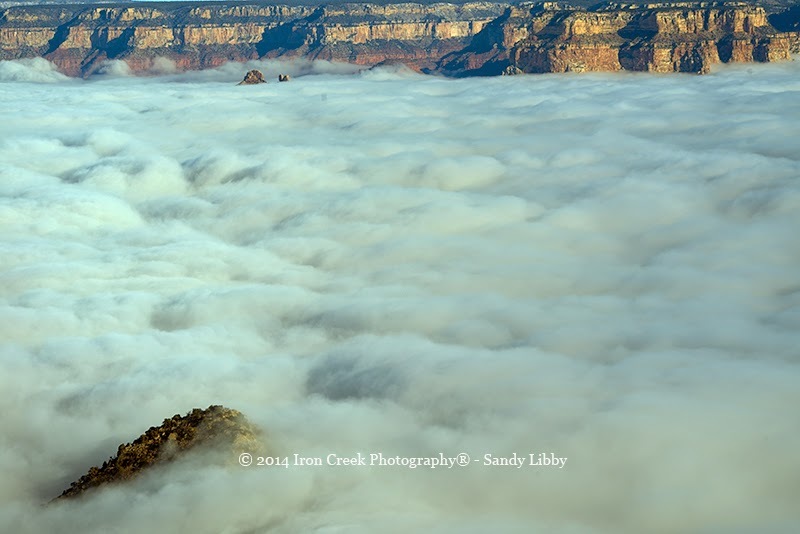 Views of the beautiful colors normally found inside the canyon are obscured with clouds. 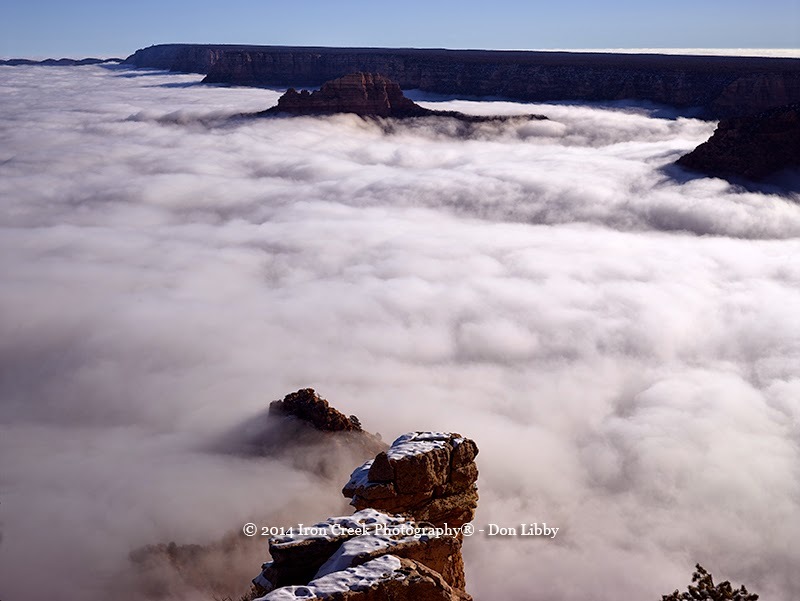 The North Rim is just barely visible and you can forget seeing the Colorado River. 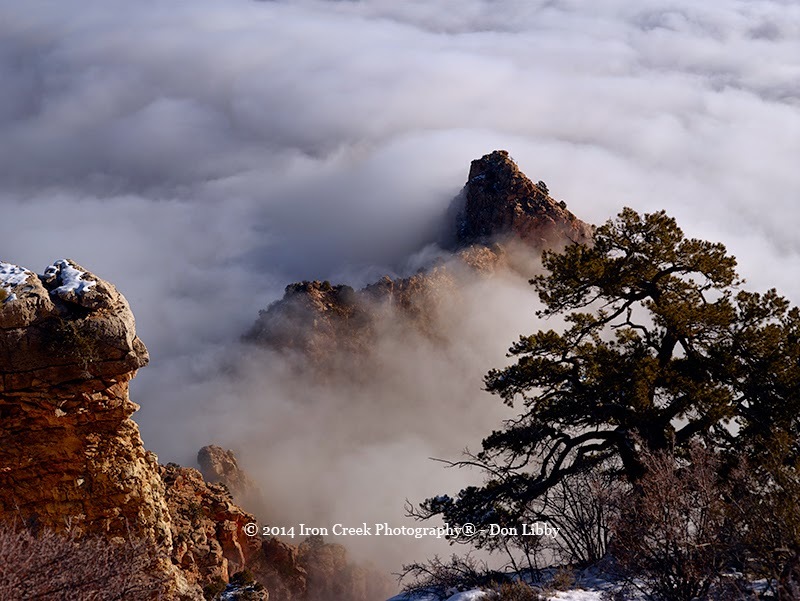 What you do see is peaks that are just barely visible inside the canyon as they take on an appearance of creatures swimming in a sea of whip cream. The National Weather Service says the event happens about once every couple years. 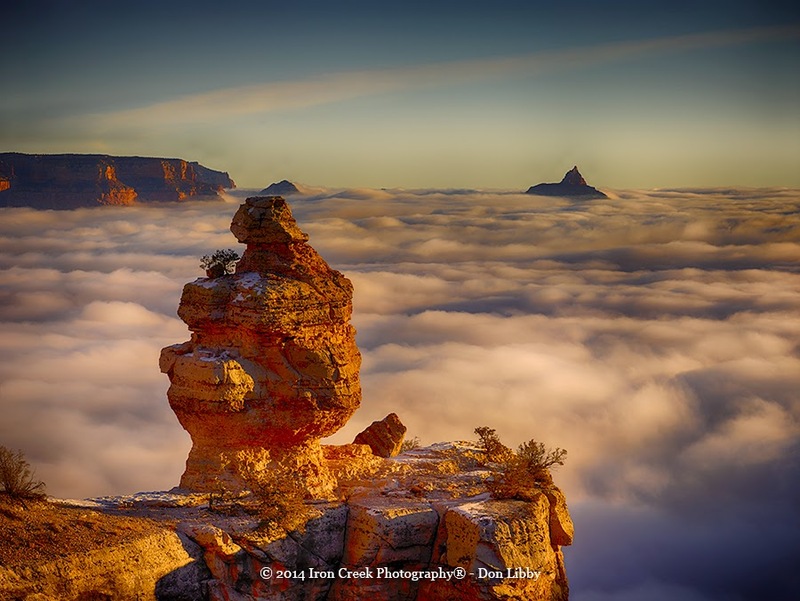 Don has been fortunate to see this during a visit several years ago near Bright Angel Trail Overlook and happened to photograph it as it began clearing. This year we sat for several hours watching the event unfold without it dissipating. We stopped at several overlooks slowly making our way to Desert View finally stopping at Grand View where we could just barley make out the tower in the distance. 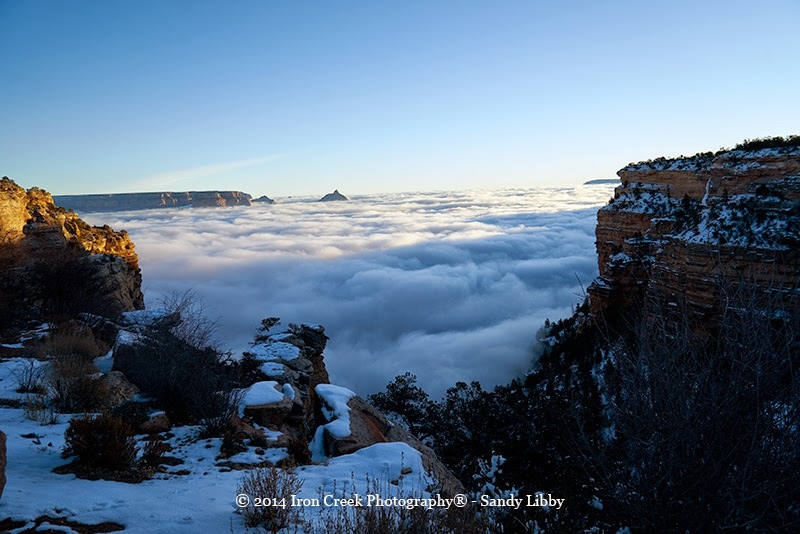 From what we understand, the clouds are forced down by warm air and are unable to rise above the rim thus causing an inversion. 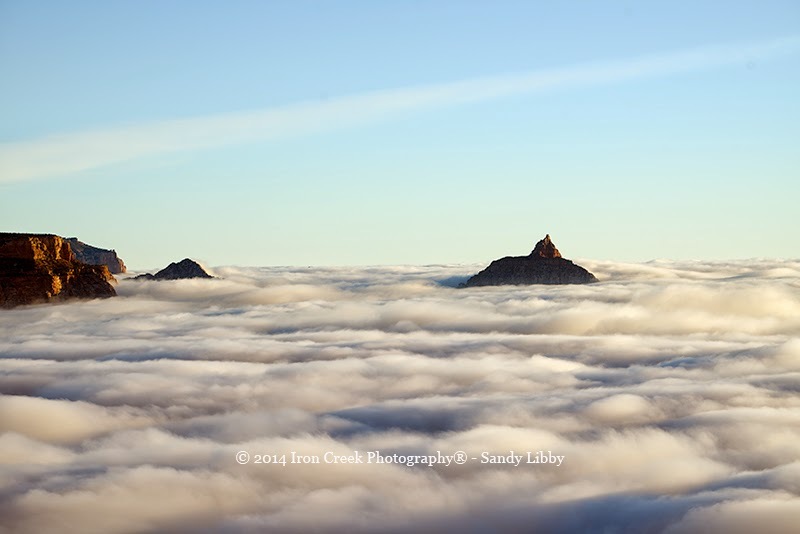 An inversion can last several hours to most of the day when fog sticks around and is built up overnight when there isn't any wind. I remember the morning being cold yet with no wind once the sun rose it felt warmer. Closer to the canyon walls you'll be greeted with what can best be described as a surf effect as the clouds/fog move against the walls. While many visitors were probably disappointed in not being able to see the bottom of the canyon they nevertheless were treated to a visually beautiful event like none other. Just another reason to visit one of the seven natural wonders of the world. Next stop is Moab so stay tuned. Sometimes it's difficult to put a name to a blog post, especially when we're sharing so much. 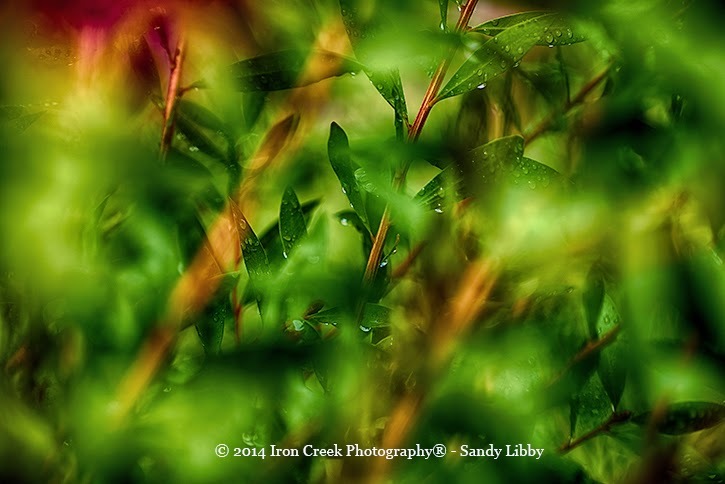 This post includes images from Sandy and her Sony A7r, the full spectrum Sony A7r, as well as Don's Phase One DF and Cambo with a new digital back; the 80 megapixel IQ180..
We went out for a couple days shortly after Don got his new IQ180 from Capture Integration in order to get use to it. 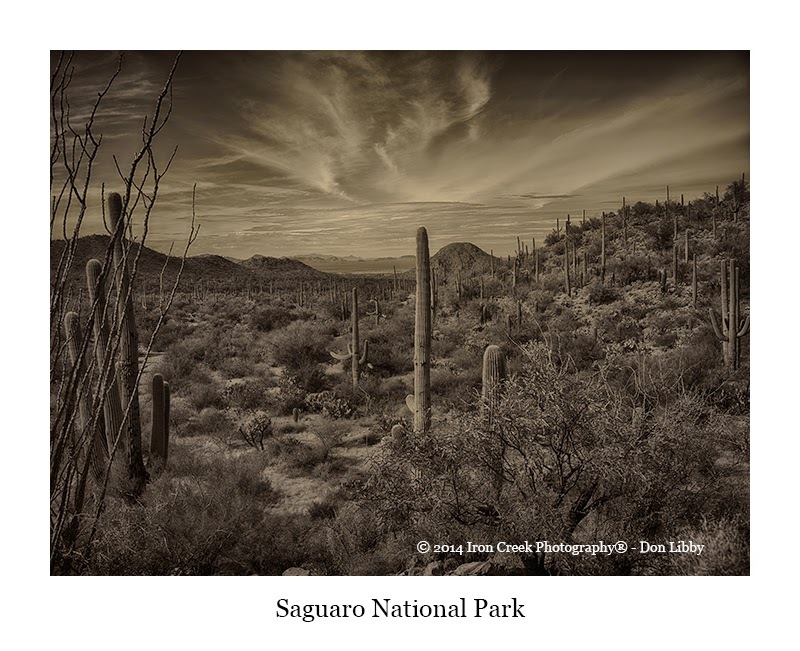 We visited Saguaro National Park in Tucson where the following images were shot. While we're including images from both the IQ180 and Sony A7r they are not meant to be offered as any type of comparison in image quality. This is the image that was captured above. The file was opened in Capture One Pro and processed to this point. This is the image captured from above. 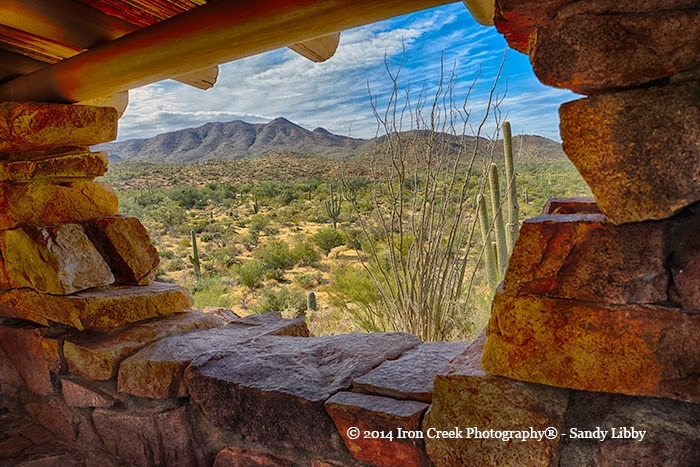 Sandy did more than take pictures of medium format cameras in use; here is a shot taken from the same location in Saguaro National Park. Sony A7r FE24-70 (24mm) f/7.1 1/160 ISO 50. Processed first in C1-Pro then opened in PS-CC and Nik Software. 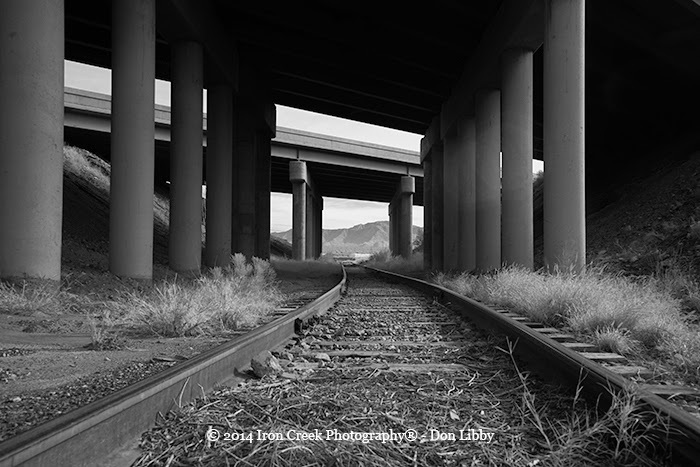 There's an overpass in Marana AZ where the I-10 passes over a set of railroad tracks that Sandy spotted on our way home from the Saguaro National Park. We returned the following day to capture it. Sony A7r FE 24-70 (24mm) handheld, no crop f/4 1/200 ISO 50. 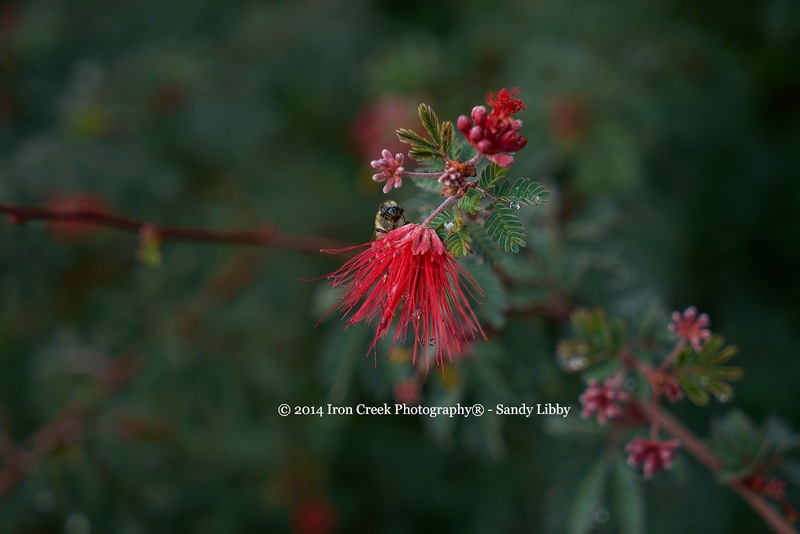 The processing on all three of the above images was done in C1-Pro 8.02. 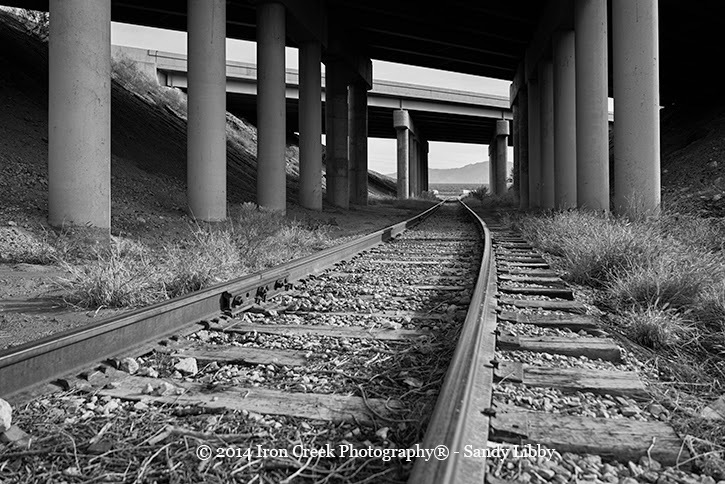 The two handheld shots were straighten and converted to black & white using adjustments found in C1. The 590nm file also received a little help with the custom white balance in C1. The file shot with the IQ180 was also opened and processed in C1Pro where it was processed in black and white using a custom adjustment. 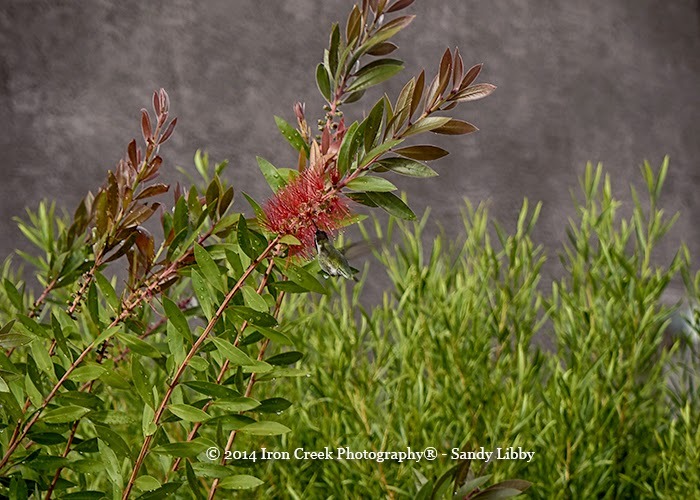 The hummingbird surprised Sandy as she was out shooting. Sony A7r FE24-70 (70mm) f/6.3 1/200 ISO 50. Handheld shot cropped in to better show the little bird. While it was first opened in C1 Pro and processed, it was also sent to PS-CC where using the Anti Shake filter added clarity. Sometime a slip of the trigger can produce a pleasing image. Phase One DF/IQ180 150mm lens at f2.8 1/600 ISO 35 shot on tripod (not cropped). 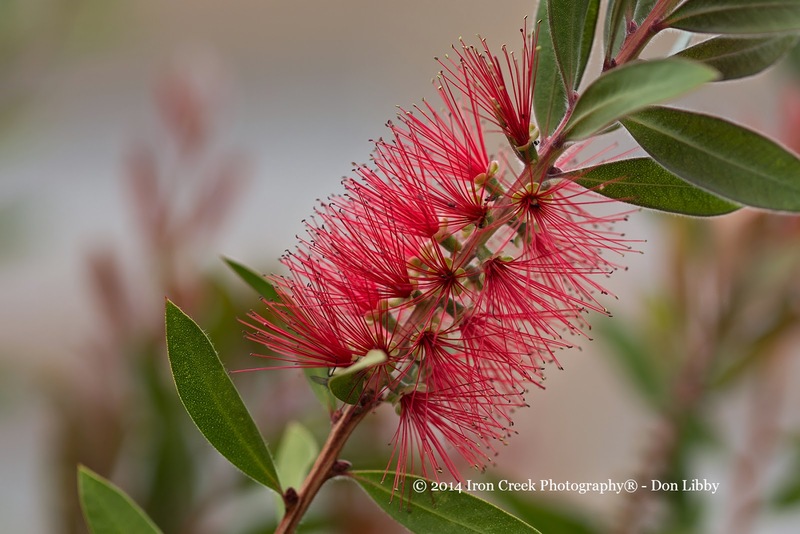 Don was trying to capture a bee however it stayed on the other side of the bottle brush. Maybe better luck next time. 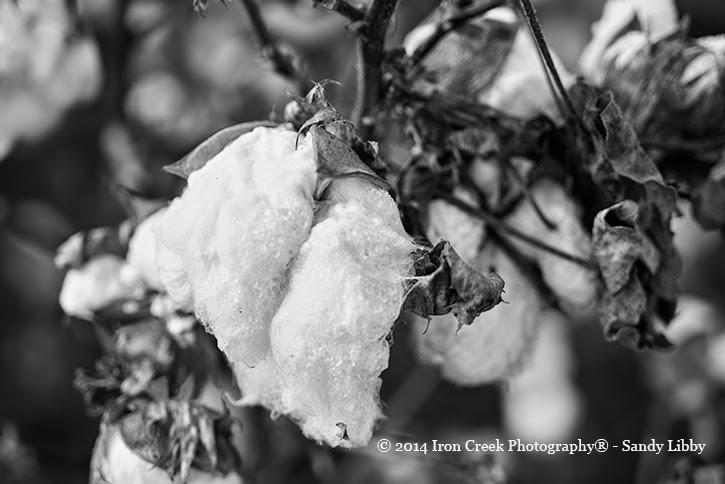 Close up of cotton alongside the road in Marana. Sony A7r FE24-70 (70mm) f/4 1/200 ISO 50 handheld non cropped. Phase One recently updated Capture One (we use C1-Pro) to 8.0.2. C1 isn't the easiest processing software to learn however once you have the basics it does get easier. Don has used Photoshop since shortly after it was released and is more at home than in C1. Actually we hadn't begun using C1 until a couple years ago after it was more user-friendly with 64-bit. C1 8.0 was released a couple months ago adding several new improvements; among them better support for Sony. One of the improvements we like the most is the new Film Grain tool which is found in the black & white images above. While we continue to be more comfortable in Photoshop we also recommend giving Capture One a try. There are a number of videos on YouTube that are offered by Phase One that will help in learning the software. Give it a try whether or not you use medium format or Sony. What we've found is the new black & white adjustments rival that of Nik software. And now to our new digital back. 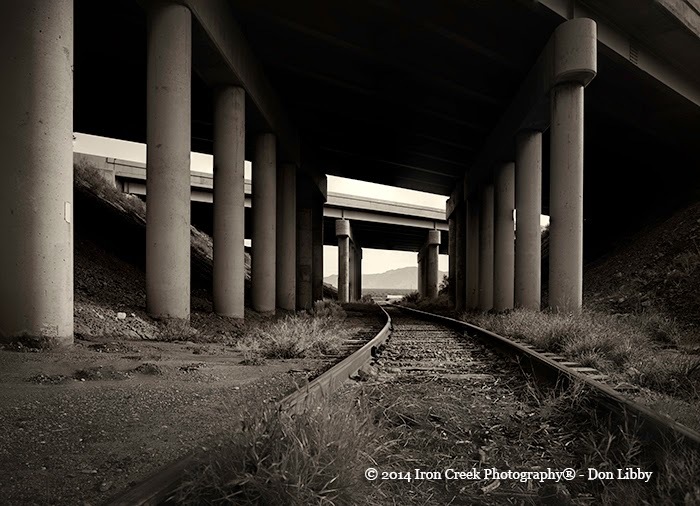 Don began shooting digital medium format in 2007 with a 30.6 megapixel Phase One P30+ which had a crop of 1.3. Sadly, that back was unsuited for working with a technical camera and was replaced with a 39 megapixel P45+ that had a crop of 1.1. The P45+ with a crop factor of 1.1 was at the time the closest to "full-frame" medium format there was. The P45+ served well on the Cambo WRS technical camera for quite awhile. Mid 2008 Phase One introduced a full-frame 60 megapixel P65+. 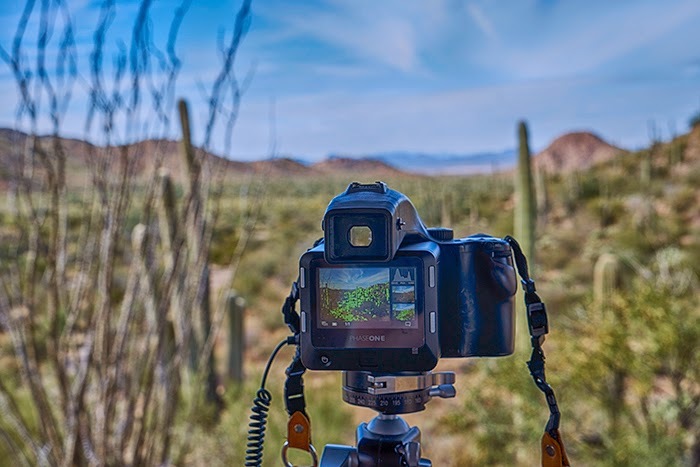 It wasn't until May 2011 that we upgraded to the P65+ and discovered the joys of 60 megapixel full frame shooting. Cameras, much like computers have a very short lifespan. By that we mean that just as soon as a camera is introduced, within a year or two another one will show up. Prime example -- what's going on currently with the Sony A7 series; first it was just the A7 and A7r which was quickly followed by the A7s and now the A7 MKII. All four of the Sony A7 line has been introduced within a span of 12-months. The beginning of 2011 was when Phase One dropped a bombshell with the introduction of the IQ series. You had a choice of 40-megapixel IQ140, 60-megapixel IQ160 and the 80-megapixel IQ180. Much larger touch screen, live view, focus mask, onboard level, firewire 800 and after several long months, a working USB3 port. The screen is 3.2 inch retina type multi touch with 1.15 megapixel resolution. And I almost forgot to add the ability that with one tap on the screen you can bring the file into 100% resolution to check focus. Simply put, while this is a kickass digital back to be used on a 645-dslr camera body it was heaven sent for use on a technical camera. So how long did it take Don to upgrade? Slightly longer than you might think. Don upgraded to the IQ160 in early 2013. The features offered by the IQ was too much not to upgrade to especially when you consider how well it interfaces with a technical camera. So why not jump to the IQ180? Simple, we got a great deal on a slightly used IQ160 that had been used by a friend of ours. But that isn't the end. A couple weeks ago we were offered a deal on an IQ 180 which is the digital back Don has lusted for since it was introduced in 2011. The IQ160 has a low ISO of 50 while the IQ180 shoots at 35. 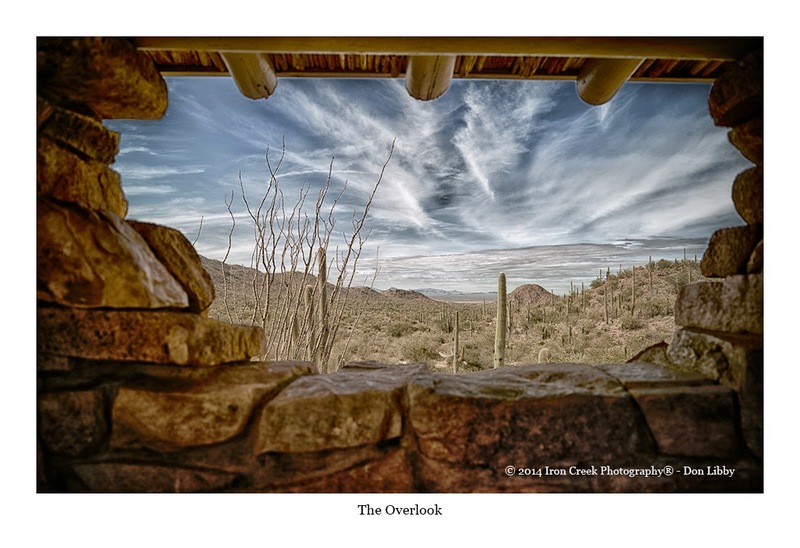 For a landscape photographer the lower the ISO the better. Added to this is the extra 20-megapixels and slightly longer exposure. Don is indeed a very happy camper. 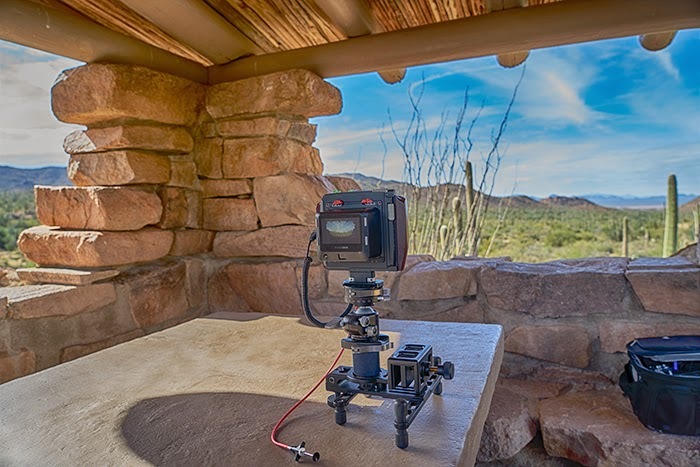 We wrote recently of our camera dealer, CaptureIntegration. Once again we strongly recommend Capture Integration as a place to contact if you are looking for camera equipment whether it be medium format or 35mm, new, used or rental. Contact them, you won't be sorry. 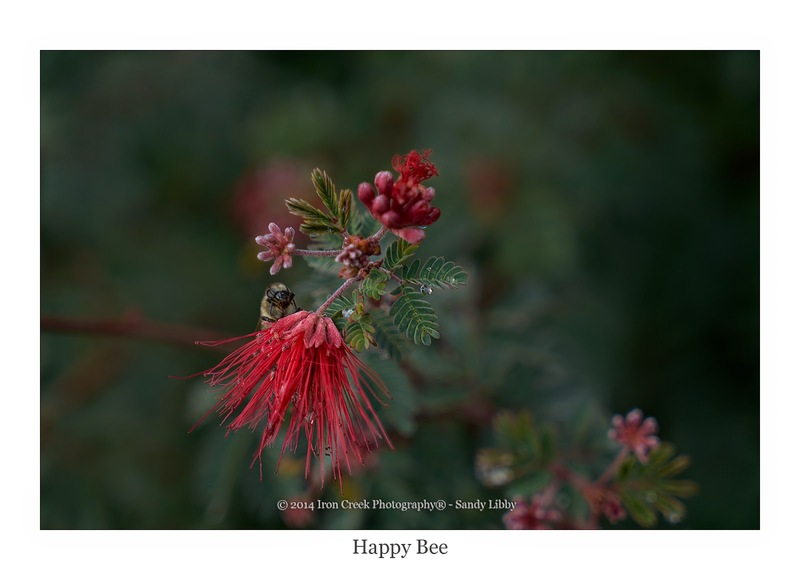 And speaking of sorry, this is one of our longer posts however we wanted to catch everyone up with what's been going on with Iron Creek Photography. 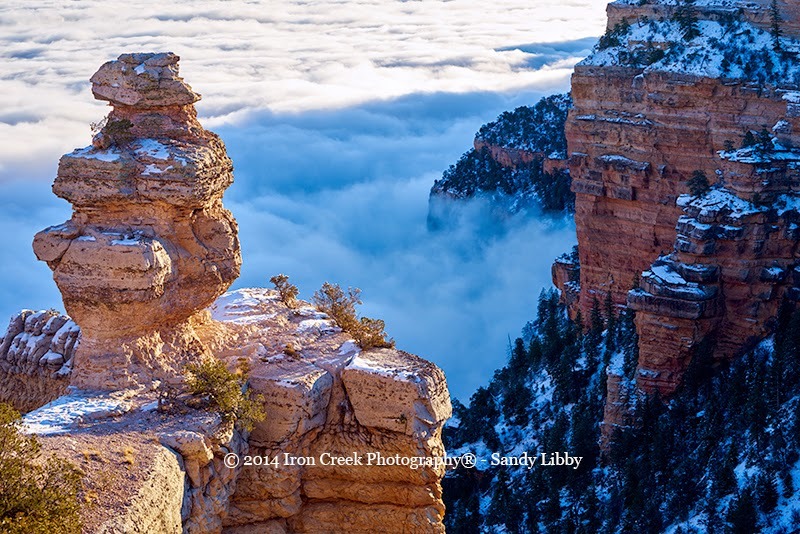 We have a trip planned in the near future to visit Moab UT and the South Rim Grand Canyon before the end of the year. Since we aren't certain if there's going to be another post before the end of the year we want to wish everyone Happy Holidays and a safe New Year.